your life - revitalizing and reenergizing your mood. Better lighting during work & better mood. 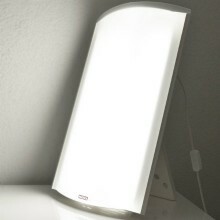 Suitable light therapy lamps for your office environment and the workplace. 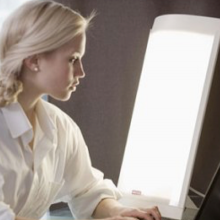 These light therapy lamps are equipped with a light intensity dimmer. 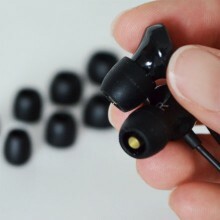 You can use it to reduce the light intensity according to your needs and use the respective lamp as a living room lamp. 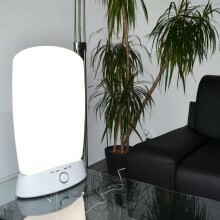 Or you can increase the light intensity again and use the lamp for light therapy. 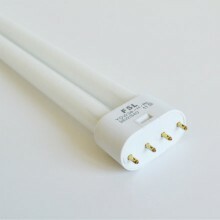 Here you will find the proper replacement if you are looking for a specific light bulb for your daylight therapy lamp. Accessories for your Valkee Light Therapy device - from bags to cables. 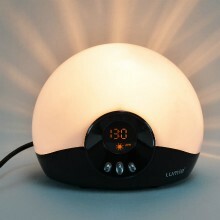 To wake up with light provides the body with the unique possibility to adjust itself gently to the waking up process. Like with the first rays of sunlight, the body receives the right energyinformation to be fit for the day.